Finally coming up on the end of some things. Getting through some audios more quickly now that I have taken to listening while I clean. I really enjoyed The Scorpio Races, hopefully you will enjoy it too. 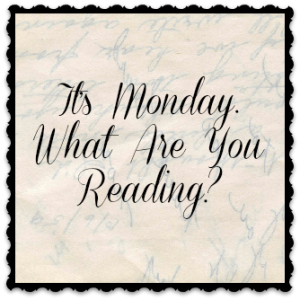 Check out my Monday post. I just started reading The Diviners and am really liking it so far. Hope you get to it soon – I also really liked The Scorpio Races. Love. love, love Mira Grant’s Newsflesh series!!! I can’t wait to hear what you think of Deadline!